Logan has scored a surprising Oscar nomination. The Academy announced the 2018 Oscar nominees today and Logan earned a spot in the Best Adapted Screenplay category. The critically-heralded comic book movie has been on the fringe this year, in terms of awards season love, so it was always a possibility that the X-Men spin-off could earn some nominations, but this one, in particular, is pretty significant. However, that's the only category that the movie was nominated in, meaning that it was arguably snubbed in some other major categories. 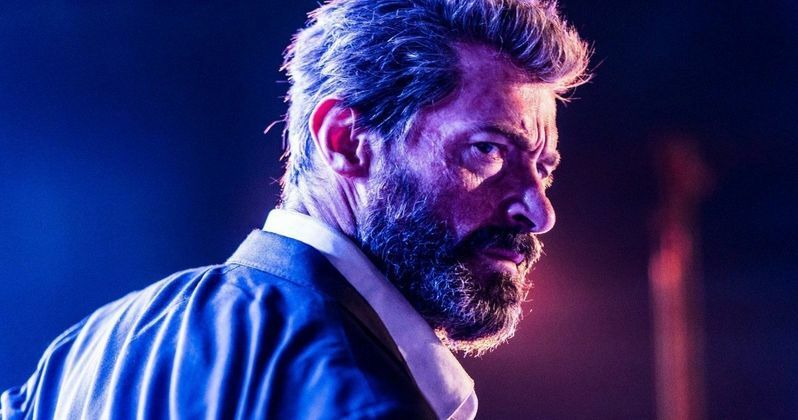 Focusing on the positive, Logan beat out some big movies and is competing against some of the year's best in the Best Adapted Screenplay category. The other nominees include Call Me by Your Name (James Ivory), The Disaster Artist (Scott Neustadter and Michael H. Weber), Molly's Game (Aaron Sorkin) and Netflix's Mudbound (Dee Rees, Virgil Williams). The fact that a movie adapted from the world of Marvel Comics is competing in a category with a movie written by Aaron Sorkin is pretty impressive. That said, the odds of Logan actually winning are very slim, but getting nominated in the first place is pretty surprising, given that there was little evidence to support it happening. The awards season has been chugging right along and Logan hasn't really scored any major nominations or wins at the big ceremonies, the like Golden Globes or the SAG Awards. Unless you consider Hugh Jackman and Dafne Keen winning Best On-Screen Duo at the MTV Movie Awards an indicator of some kind. Even so, James Mangold, Scott Frank and Michael Green's script for Logan didn't seem like it was going to break through in this category. But that's not to say it isn't at all deserving. Mangold, who also directed the movie, took to Twitter to share his gratitude. "Wow. I am thrilled! Thank you all, for the lovely tweets!" It wasn't overly likely that Logan would score a Best Picture nomination, even though many feel the movie deserved it. The category was very crowded this year though. But perhaps the biggest arguable snub is Patrick Stewart not being nominated in the Best Supporting Actor category. Again, it was a crowded field, but if this wasn't a comic book movie, it's the kind of performance that feels like it could have easily garnered a nomination. Hugh Jackman also missed out on a nomination for his final go as Wolverine, but he doesn't seem to mind. He took to Twitter to congratulate James Mangold. "If Hollywood kept statistics for the most assists in nominations/awards ... @mang0ld would be the league leader. Today, he finally got the recognition he deserves. Congrats brother! @WolverineMovie #Logan #Wolverine #Oscars2018"
Hollywood has a history of not nominating comic book movies in major categories, with the classic example being The Dark Knight not being nominated for Best Picture that year. So Logan scoring this Best Adapted Screenplay nomination is significant. Still, it doesn't quite make up for Wonder Woman not getting a single nomination. Can Logan actually do the unthinkable and win? We'll find out when the Oscars are presented on March 4.